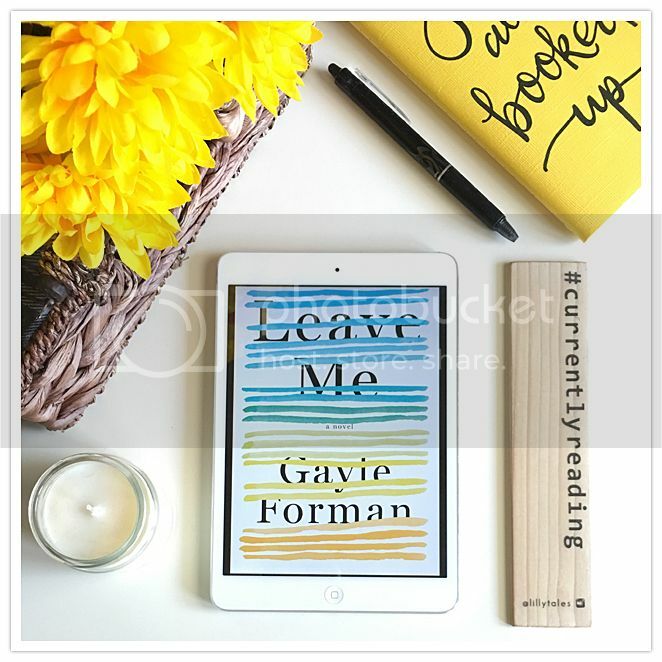 I was super excited when I discovered Leave Me, an upcoming adult novel by the lovely Gayle Forman. I'm a pretty big fan of Gayle's If I Stay series, and I've had her Just One Day series on my TBR for a while now, just waiting on me to read it. Leave Me sounded really interesting, and different, so I couldn't wait to check it out. I'm glad I did! I found the main character in the story, Maribeth, to be a very relatable character, both as a mother and a woman, and in the fact that she had a hard time asking for help. (This. Is. Me.) Although I know if I were ever in Maribeth's shoes, I'd have a really great support system behind me. I could definitely relate to some of the things that she went through in the story, and that made me appreciate her as a character so much more than I expected to. That being said, I don't think I would have been able to do what she did, to walk away from everything. I don't think I'm that brave, or even that willing to do that. The storyline for this book was really interesting, and it grabbed me right from the beginning. And, coming in at only 343 pages, it was a super quick read as well. I read the whole book in just a few hours time, and I would have loved for it to keep going after the ending. There were still SO many things I wanted to know. But I thought it ended very nicely as well. 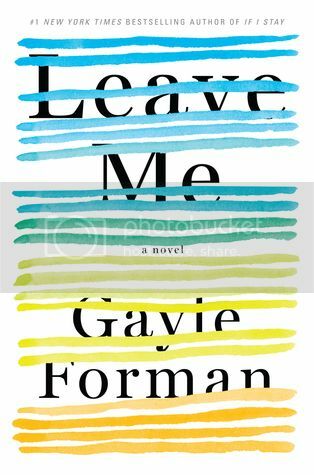 Overall; I didn't know what to expect when I started reading Leave Me, but I found the story to be very interesting, and even relatable as well. Considering the fact that I've enjoyed all the books by Forman that I've read to this point, I should have known I would have enjoyed this one as well. Now I'm even more excited to get caught up on her Just One Day series, and to read more from her in the future!! I'm glad this one didn't disappoint. I am starting it today and have high hopes. I think I will be able to relate to certain aspects of this story as well. Great review! I appreciate the fact that she writes lovely story, but so far, her books didn't really work for me. Perhaps this one, neither YA nor NA, would be better. I'll give it a try. Glad you enjoyed! This sounds so good! It sounds like it would be really easy for me to relate to the main character too. I'm hoping I can get to this one soon!